According to the Hmeymim airbase representative, one drone approaching the military facility was terminated on Saturday and the second one — on Sunday morning. "On Saturday, July 21, 2018, at nightfall, the Russian air defense at the Hmeymim airbase detected an unidentified small-sized air target (UAV) at a considerable distance approaching the Russian military facility. The aerial target was destroyed by the Russian airbase's standard anti-aircraft guns. On Sunday morning, July 22, 2018, the air defense destroyed at long range another unknown UAV that was approaching the Hmeymim airbase from the northwest, "the report said. 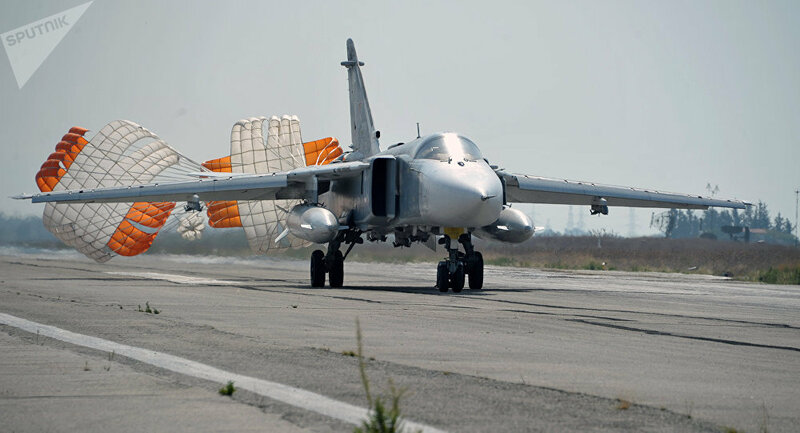 There were no casualties or material damage in both cases and the Russian air base is operating as normal, the representative added. Only a day before this statement, the Russian military mentioned an unidentified drone, which had been destroyed by air defenses. On December 11, 2017, Russian President Vladimir Putin ordered the withdrawal of Russian troops from Syria after more than two years of successful struggle against terrorist organizations; however, a permanent group of the Russian military remains at the military bases at Hmeymim and Tartus on the territory of the Arab Republic.